More than twelve hundred years ago a monk painstakingly copied out the Gospels, letter by letter, in a chilly scriptorium. That is how the Codex Eyckensis came into being. Presently, these patiently illuminated texts, the delicate and graceful Anglo-Saxon knotwork or the gorgeous miniature depicting the Evangelist are no more than one mouse-click away. 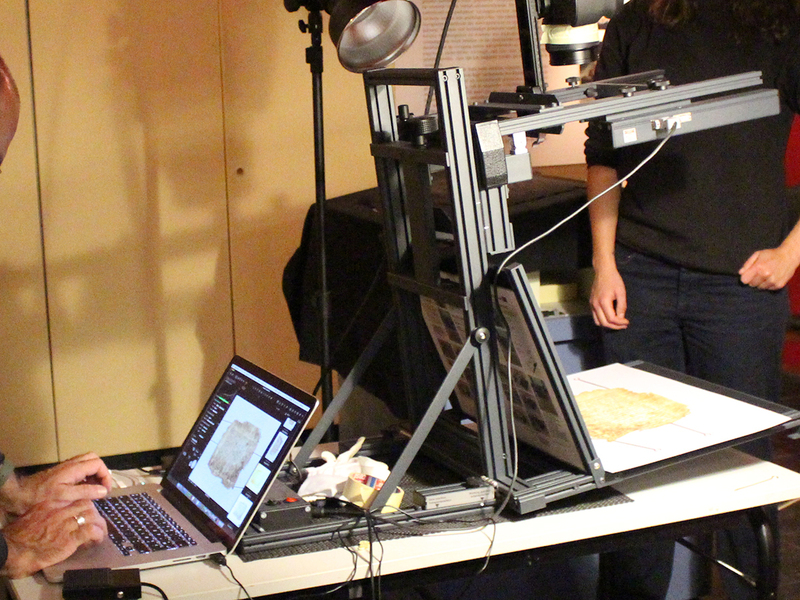 In 2015 Prof. Lieve Watteeuw (KU Leuven) worked together with Bruno Vandermeulen of the KU Leuven Imaging Lab and with Illuminare – Centre for the Study of Medieval Art (KU Leuven) to make a high-resolution digitisation of the Codex Eyckensis. This digitisation was achieved on site, in a mobile laboratory set up inside the crypt of Saint Catherine’s church in Maaseik. 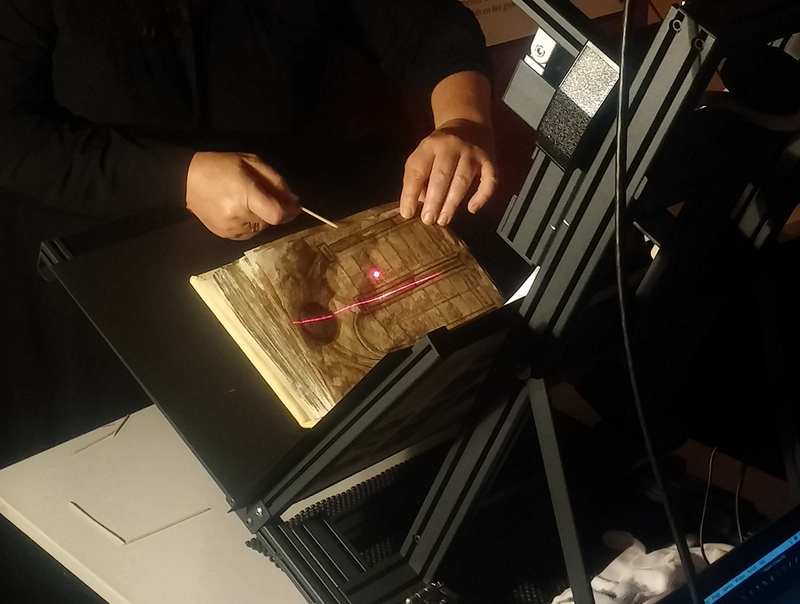 The team decided to provide access to the digitised manuscript using the Mirador image viewing platform. The Mirador viewer allows the user to compare different digital images easily, by placing them side by side in different instances of the viewer. The preservation and long-term accessibility of these digital images is also an important point of consideration. For this aspect, the team was able to make use of the experience the KU Leuven had acquired with the LIBIS library system. The images were stored using the Teneo system, which guarantees accurate archiving, proper preservation and easy access to the files. Browse the Codex Eyckensis here. The digitisation project also resulted in an extra bonus, as the project team made use of the opportunity to also digitise a lesser known piece from the Maaseik Museums: a Gospel Book from the tenth century, with Canon Tables and written in a remarkably attractive script. This Gospel Book is now available to scholars and the general public for the first time ever. Browse this tenth-century Gospel Book here.